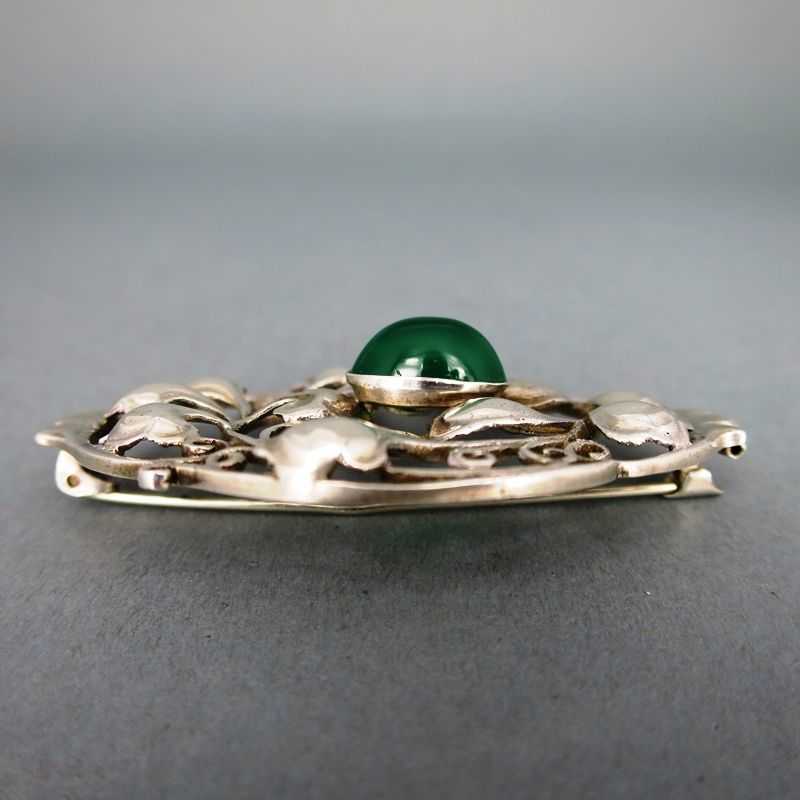 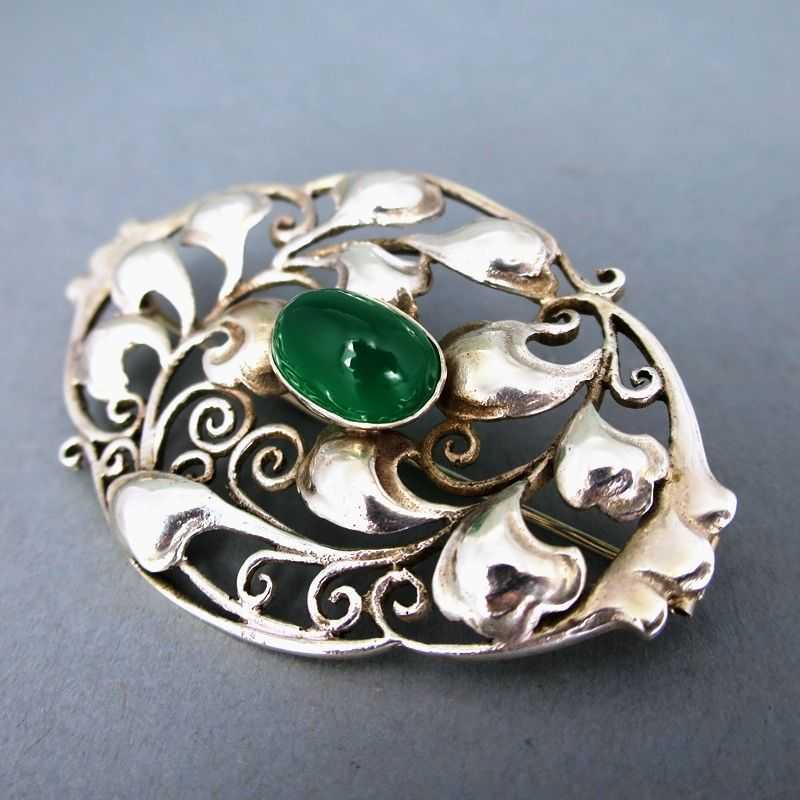 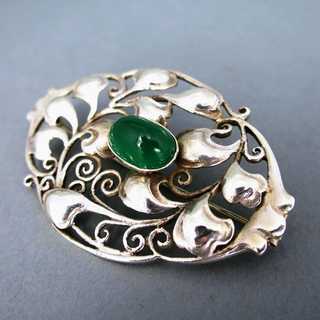 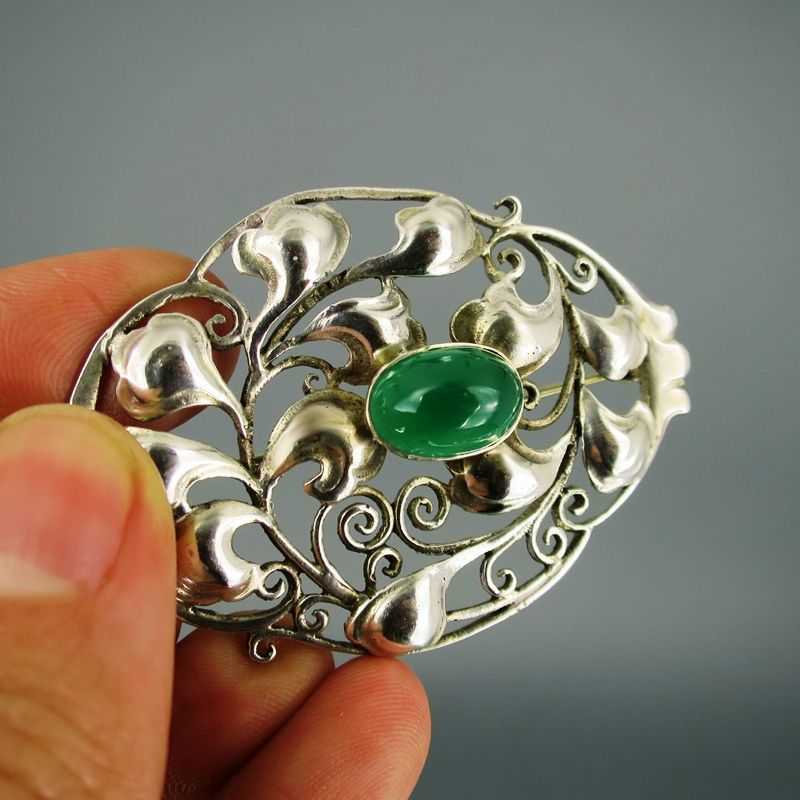 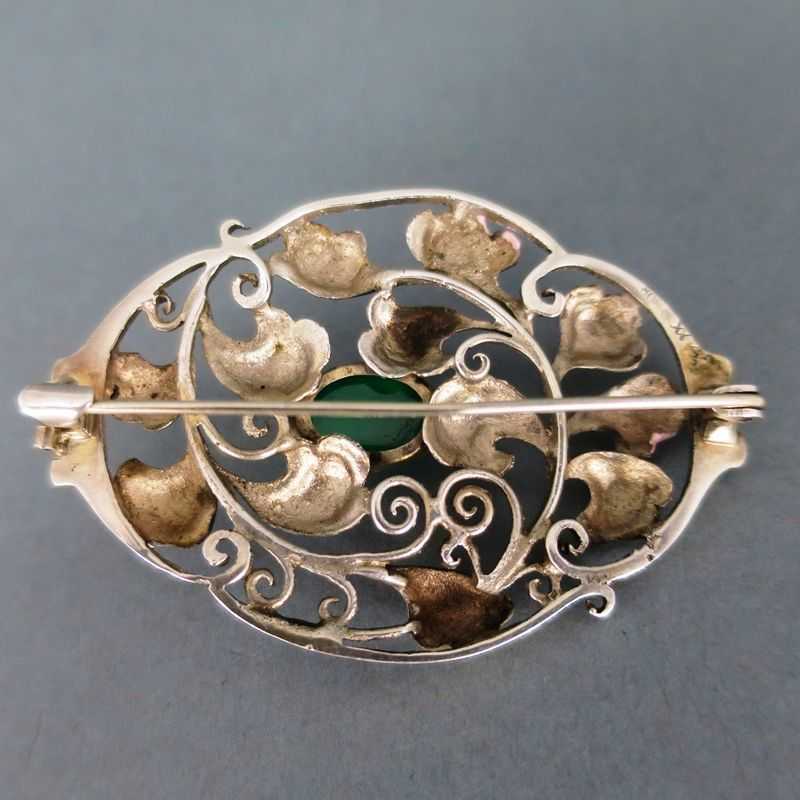 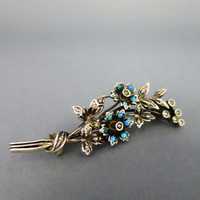 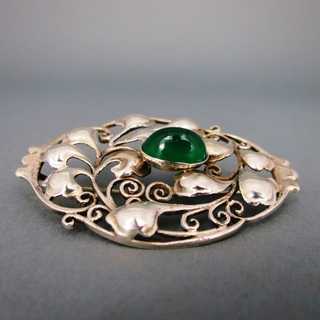 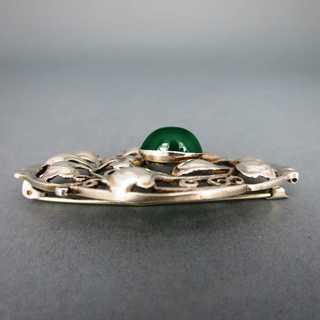 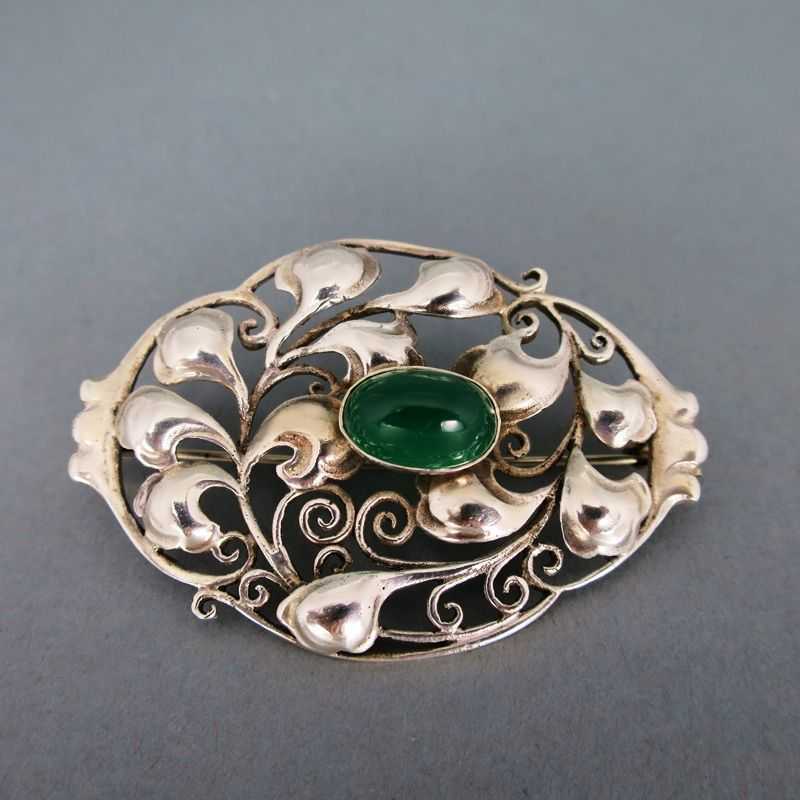 Gorgeous big brooch from the german Jugendstil. 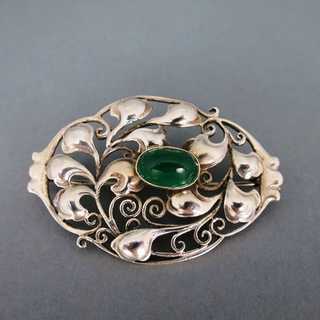 Oval, heavy open worked shape, decorated with abstract leaves and scrolled tendrils. 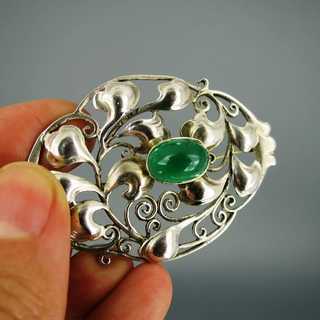 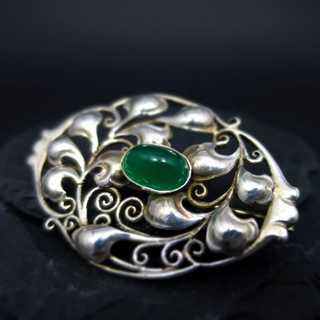 In the centre is an oval green chrysoprase cabochon in bezel setting. 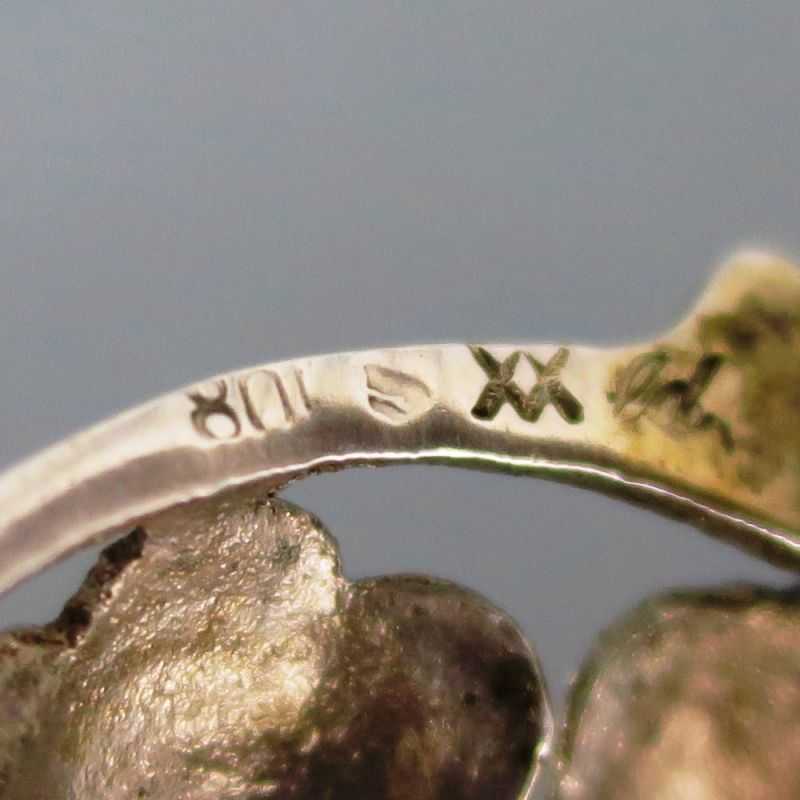 Back side with needle closure. Marked, made by Wilhelm Müller, Pforzheim, appr. 1900.